What does every fantasy RPG campaign need? Monsters! Monsters! Monsters! 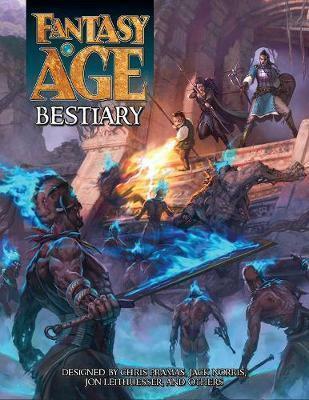 The Fantasy AGE Bestiary gives Game Masters a plethora of new foes to challenge their players, from classics like the basilisk and minotaur to new monsters like the eldritch crown and shard lord. Each creature is fully detailed, with background information, adventure hooks, game stats, and variants. This beautiful full-color hardback is the first sourcebook for the Fantasy AGE RPG and an indispensable resource for Game Masters.